Just came across a rather good essay on Guided Freedom by Tony Bennett, picking apart the authority ‘tricks’ which underwrite Rancière’s elevation of a good-old fashioned model of Kant’s aesthetic judgement into an account of political equality and freedom. Particularly welcome is its bringing into view “the kind of authority Rancière deploys against that of the sociologist and the empirical disciplines more generally”. 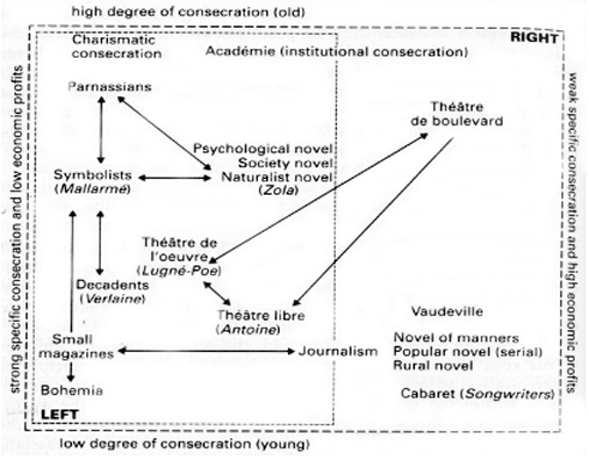 My favourite line: “… Rancière lives in a metaphysical glasshouse that is of a distinctively Christian construction …”. Which is not quite as dismissive as it might sound, or not in the direction you might think at least – amongst other things, Bennett’s piece is a nice reminder of how this strand of theory manages to re-centre a resolutely parochial style of thinking about politics, culture and critique into a universal ideal, and manages to disavow its own ‘conditions of possibility’ in so doing.